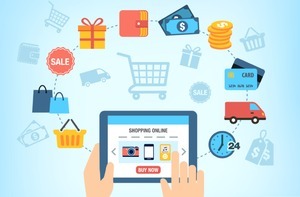 When it comes to e-Commerce websites, it's all about functionality, features, and design. Indicsoft is an e-Commerce website development services provider Company in Delhi, India. We’ve seen trends in e-commerce website design like animation, 360-degree product previews, advanced filtering, and dynamic product search. However, trends don’t guarantee conversion rates or robust user experiences. We developed and customize e-Commerce websites as per your business requirements. Our specialized web developers remain abreast with latest technologies and trends to deliver prolific results. We provide standard features that you must have if you're running an online business and have an e-Commerce website.